MEMPHIS, Tennessee - Memphis Redbirds right-handed pitcher Dakota Hudson and outfielder Tyler O'Neill were named to the All-Pacific Coast League Team, the league office announced Monday. It is the first time in franchise history that Memphis has had two players named to the All-PCL Team in the same season. Hudson, who was named a mid-season PCL All-Star and participated in the MLB Futures Game, was phenomenal for the Redbirds this season. The righty started 19 games for the Redbirds before being called up by St. Louis. He went 13-3 with a 2.50 ERA in 111.2 innings with the Redbirds. He allowed just 31 earned runs, one home run, and struck out 87 batters. Hudson is tied for the second-most wins in a season in Memphis history with 13. Had he pitched another 0.1 innings with the Redbirds, he would have set the franchise record for best ERA in a season. He posted 11 quality starts with the 'Birds and had four outings where he pitched eight innings, allowing no more than one earned run. Hudson made his Major League debut on July 28 against the Chicago Cubs. He threw a scoreless inning of relief, striking out two. In 13 relief appearances with St. Louis this season, Hudson is 4-1 with a 3.14 ERA in 14.1 innings of work. Opposing batters are hitting just .176 (9-for-51) off the rookie. O'Neill has raked all season for the Redbirds. The slugging outfielder hit .311 (74-for-238) in 64 games with the Redbirds this season. He crushed 26 home runs for the 'Birds, driving in 63 runs, scoring 61 times, and hitting nine doubles and two triples, while walking 29 times. He posted an on-base percentage of .385, a slugging percentage of .693, and an OPS of 1.078. O'Neill made his Major League debut on April 19 in a short stint with the big league club. He recorded his first hit on May 18 in his next stint with the club, and his first home run May 19. In 35 games with St. Louis, he is hitting .282 (24-for-85) with six home runs and 15 RBI. O'Neill has tied his career-high with 32 home runs between both teams this season. O'Neill had six multi-home run games with the Redbirds this season, and also became the sixth player in franchise history to record a three home run game, accomplishing the feat on July 22 at AutoZone Park. Teammate Adolis Garcia became the seventh player in franchise history to hit three homers in a game just four days later on July 26. Between Memphis and St. Louis, O'Neill has hit home runs in back-to-back games seven times, and has homered in three-straight games four times. Memphis finishes its series with Nashville tonight at 6:35 p.m. They will play the last seven games of the regular-season on the road, playing three at Round Rock and four at Nashville. The Redbirds will begin the playoffs on the road on Sept. 5 before coming home for game three on Sept. 7. 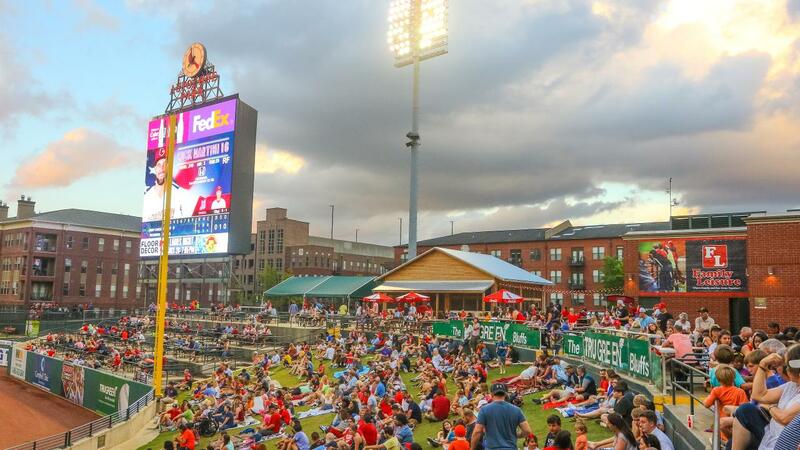 Redbirds playoff tickets are on sale now and can be purchased at www.memphisredbirds.com/playoffs.